It has taken 18 years, but the National Law Enforcement Museum is set to open to the public with a celebration on Saturday, Oct. 13, 2018, with a grand opening held a few days earlier on Oct. 11. See photos and video. WASHINGTON — It has taken 18 years, but the National Law Enforcement Museum is set to open to the public with a celebration on Saturday, Oct. 13, 2018, with a grand opening held a few days earlier on Oct. 11. “We start off with a ‘walk in the shoes experience,'” said David Brant, executive director for the museum, who has more than 30 years of law enforcement experience. The exhibits also emphasis the role citizens play in the public safety partnership. Brant said the National Law Enforcement Museum is really one of two elements of the Law Enforcement Memorial Fund, which was established in 1991 and contains the names of over 21,000 fallen officers. As the memorial was being established, Brant said the idea for the museum started to form. 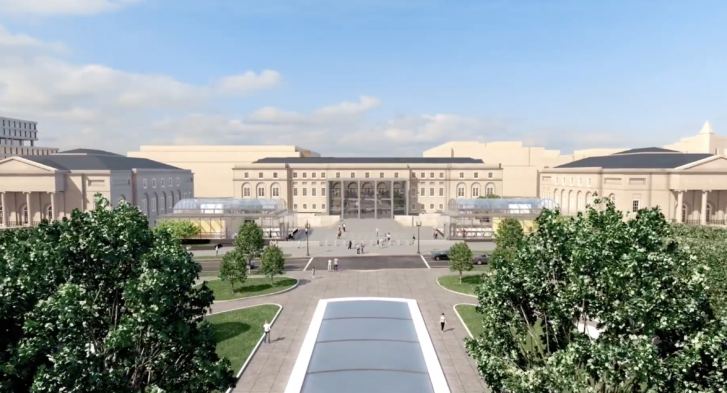 But the idea for the museum really started to take hold in the 2000s, when the land for the museum was donated. Brant’s career began as a police officer in Miami after graduating college. He spend nearly 30 years with the United States Naval Criminal Investigative Service (NCIS). He was the director of NCIS from 1997 to 2005.